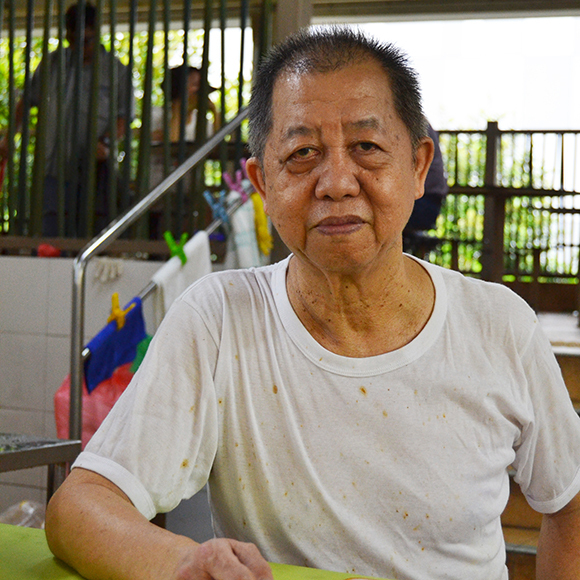 My father started Outram Park Fried Kway Teow in 1952 and I took over the stall in 2000. Running a hawker stall is tough and tiring. I come to the Hawker Centre at 3:30 am to start preparing for the day. Money is a big motivation for me to run the stall. All of us are working to earn enough for at least 2 meals a day, aren’t we? Another thing that makes me happy is Ministers and celebrities coming often to eat at my stall. There are a lot of people from Hong Kong and Indonesia as well, who come back for my Fried Kway Teow whenever they are in Singapore. As of now, no one will take over the stall. When I die, the stall will also shut. I am willing to teach and share my skills, if there is someone who is willing to learn.